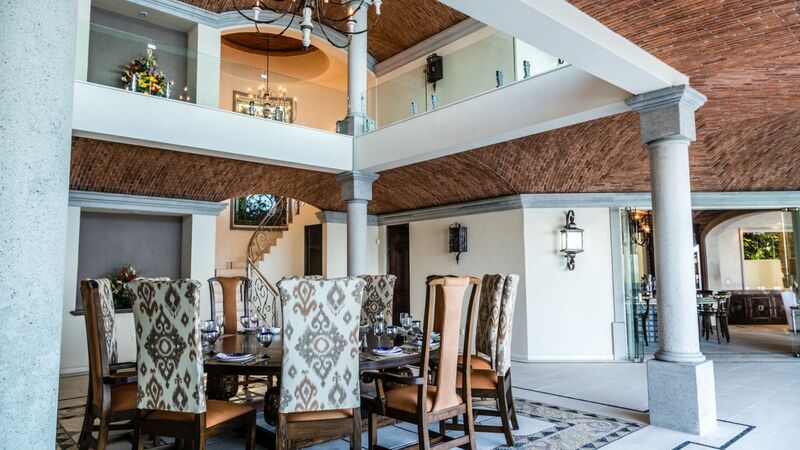 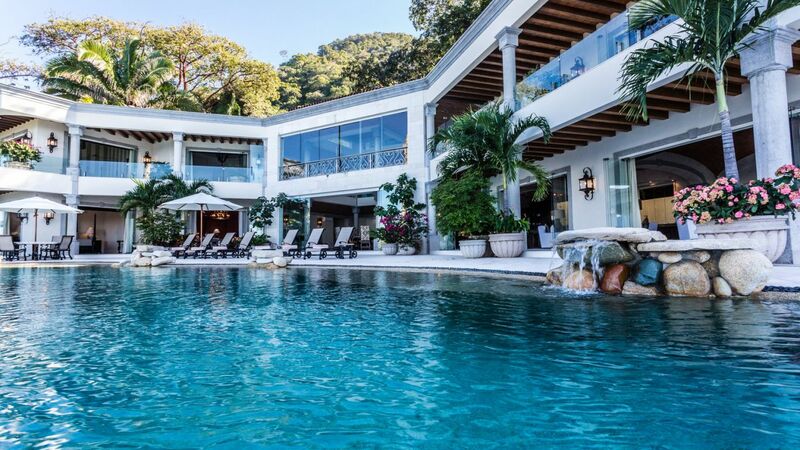 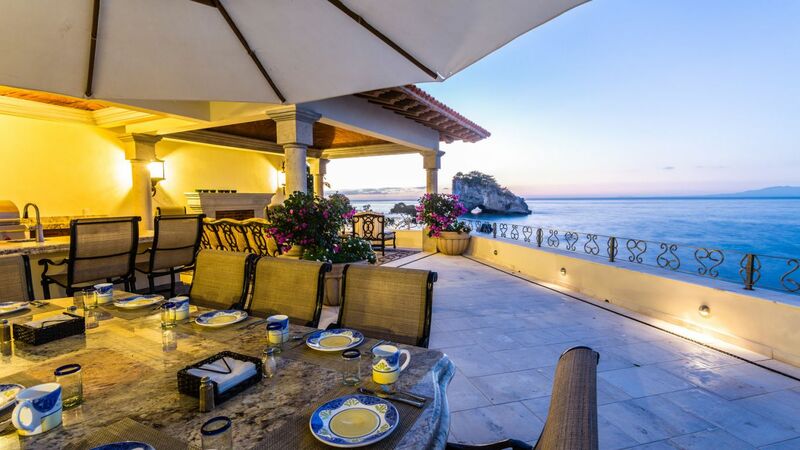 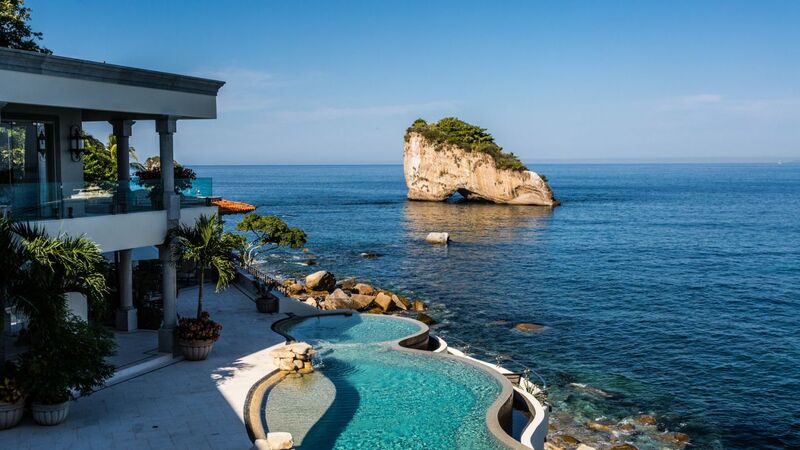 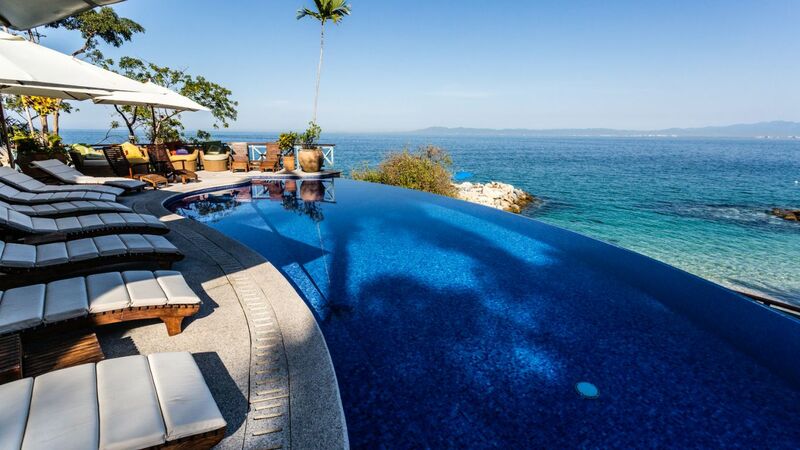 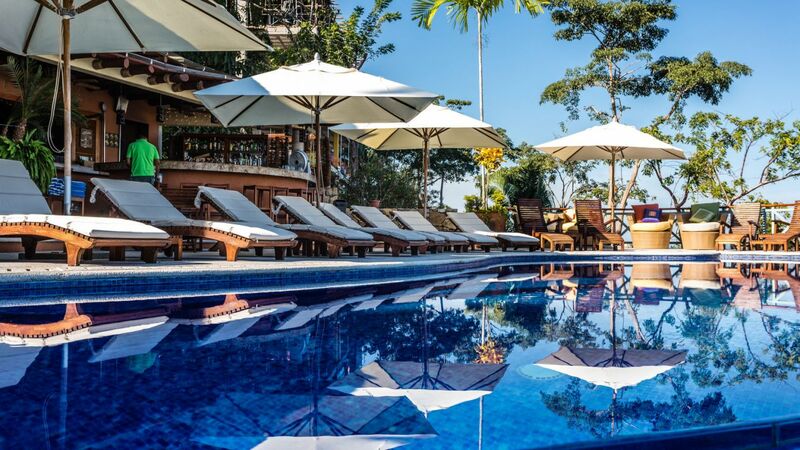 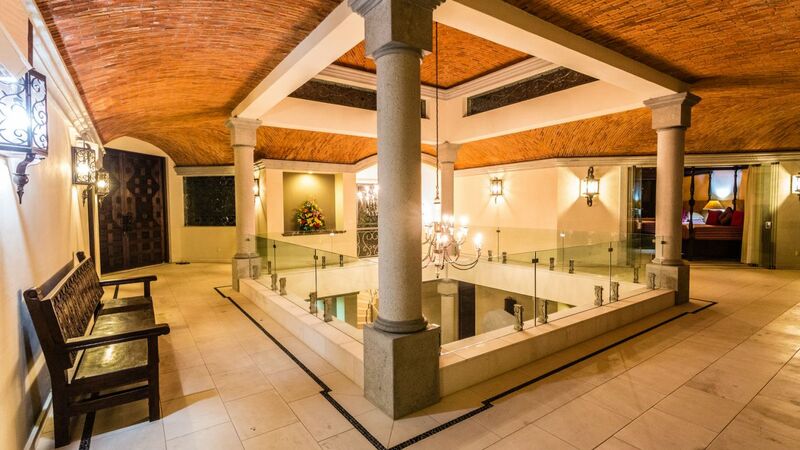 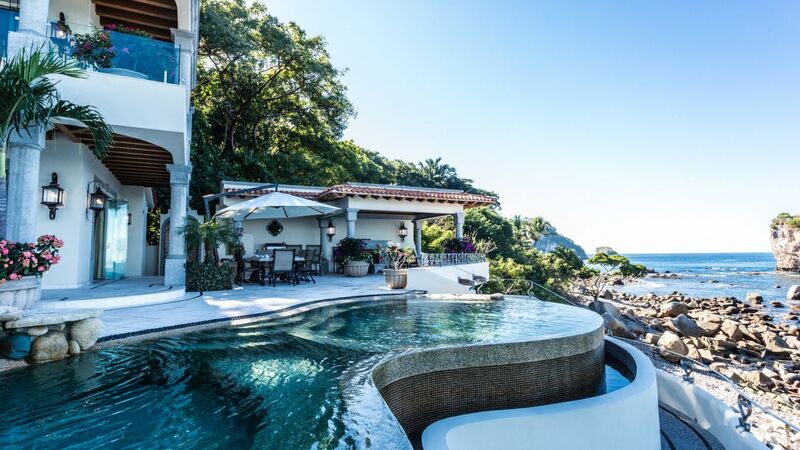 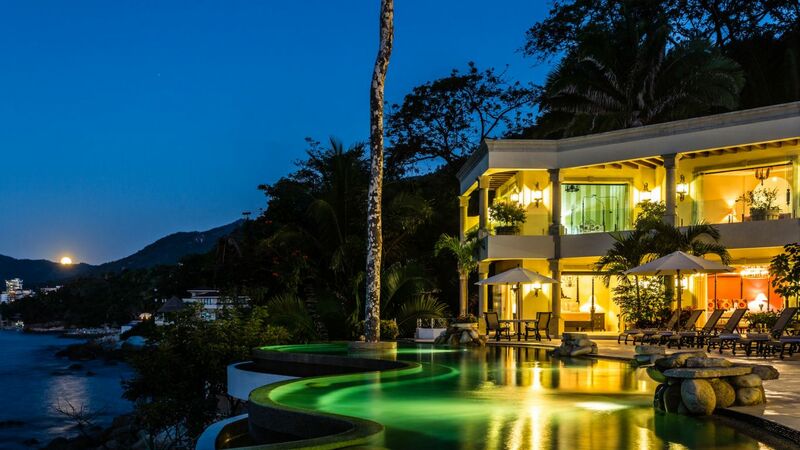 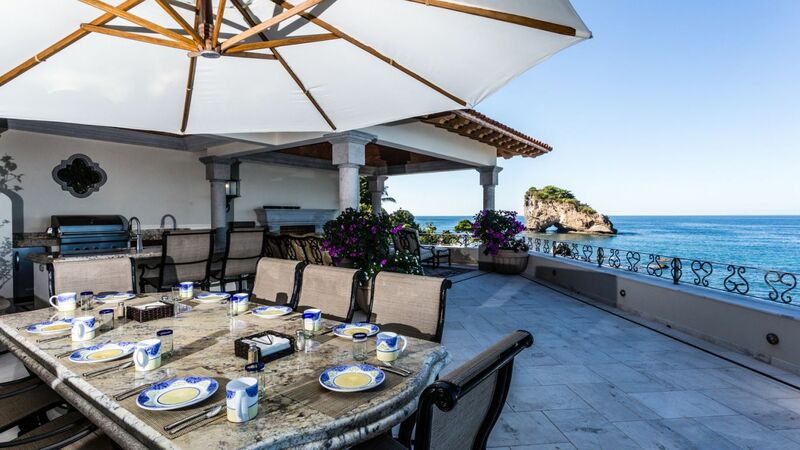 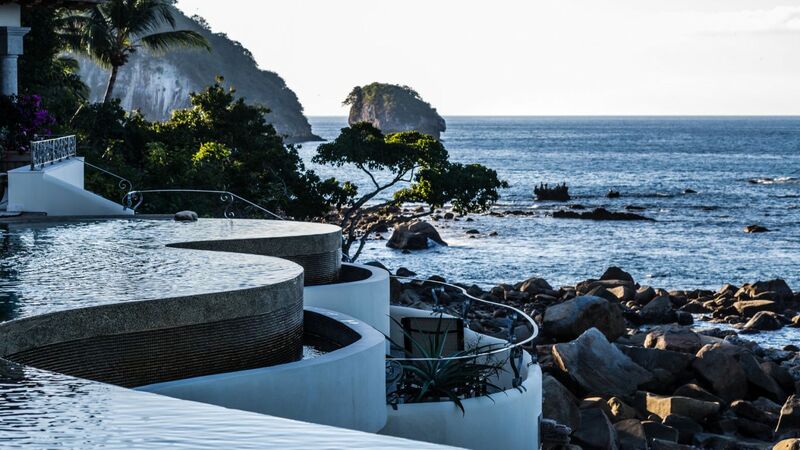 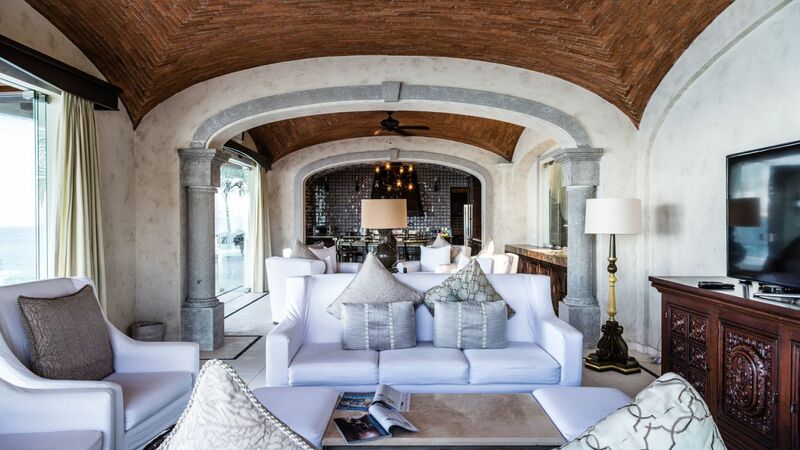 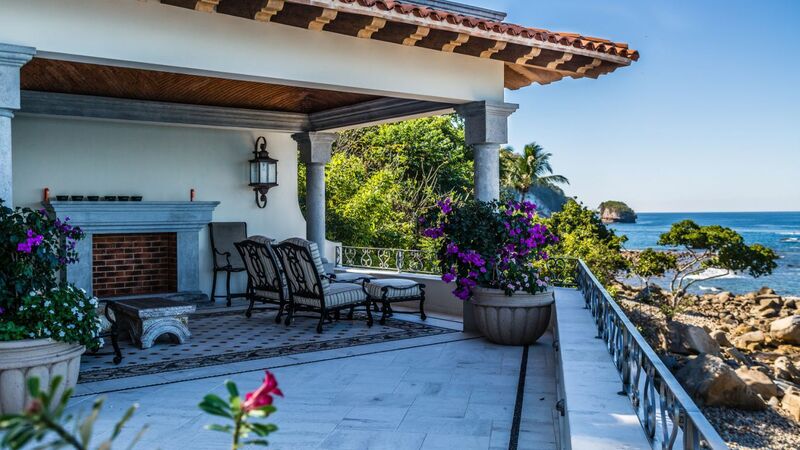 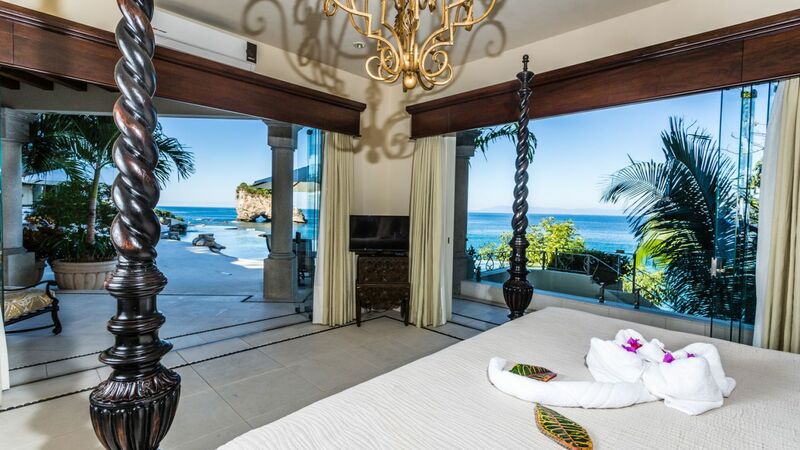 Villa Naina is a luxurious retreat located above a sandy beach just South of Puerto Vallarta and perched directly in front of the world famous Los Arcos Nature Preserve. 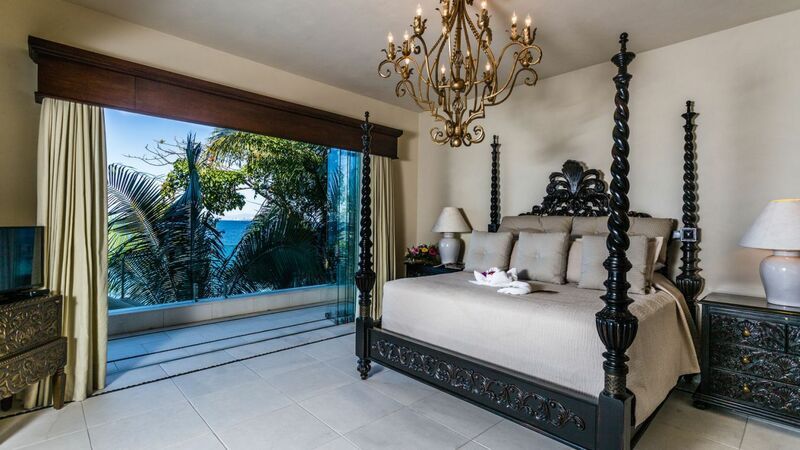 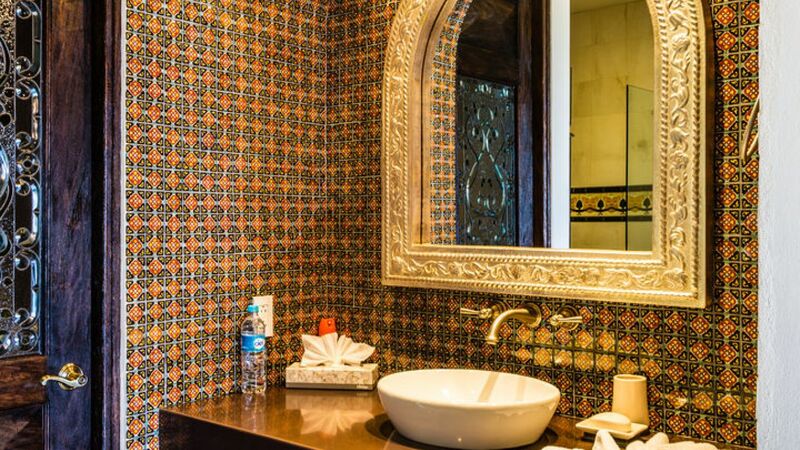 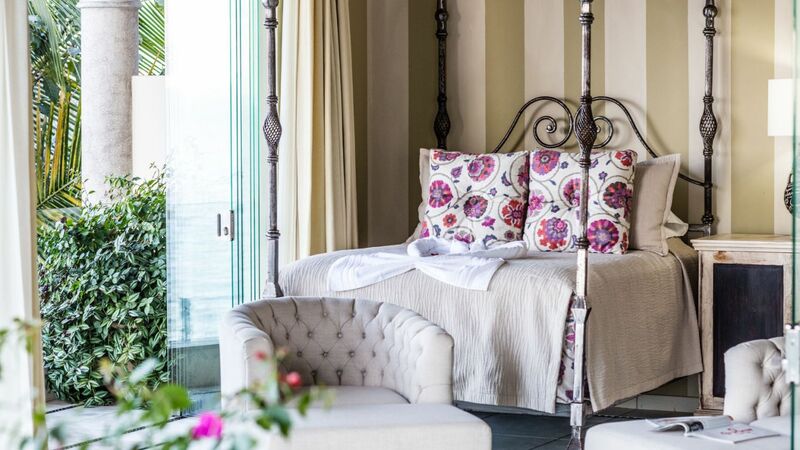 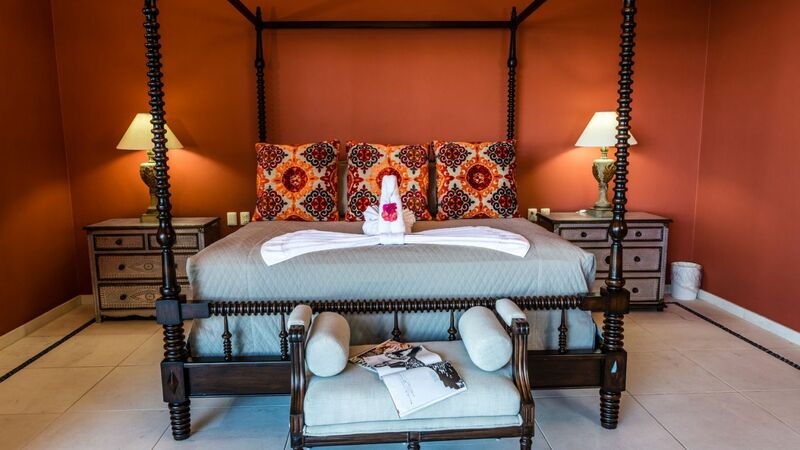 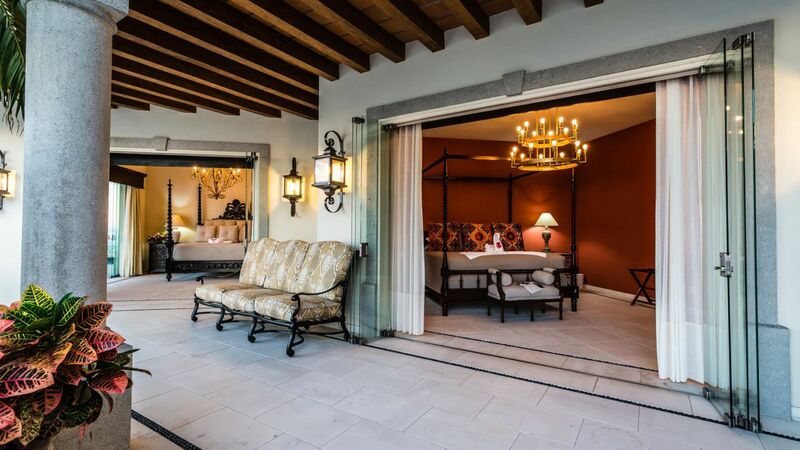 This villa can house up to 16 guests comfortably in six beautifully designed bedrooms and seven-and-a-half bathrooms. 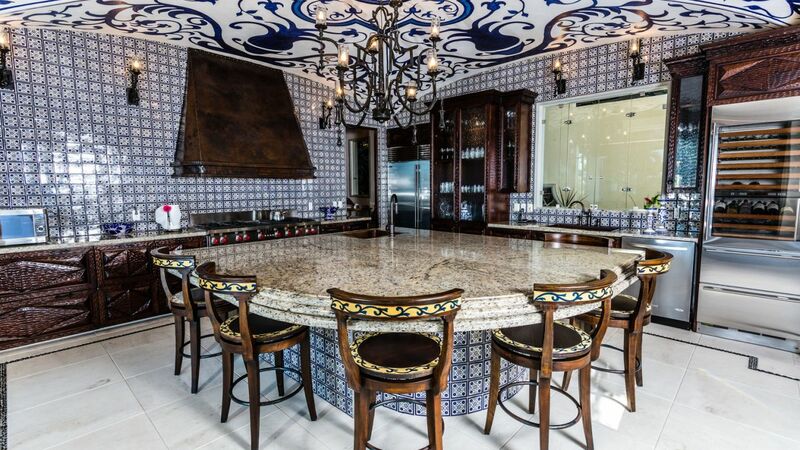 It boasts stunning artworks, high-end furniture and cutting edge electronics and appliances. 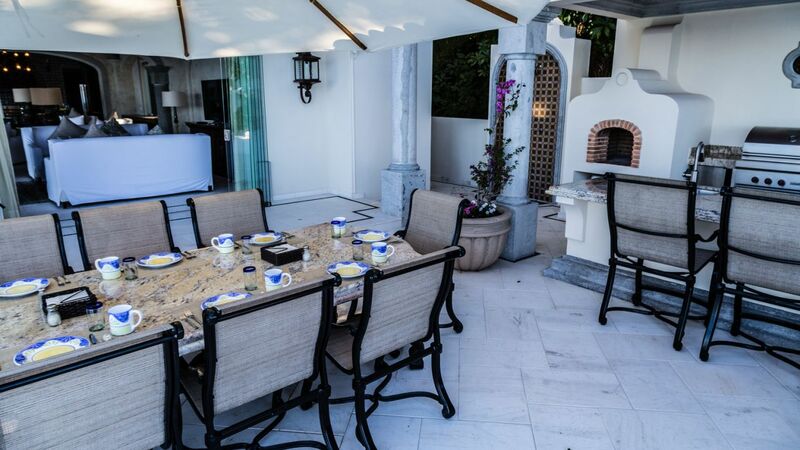 It features a spacious living room, dining room with seating for 12 and a fully-equipped kitchen with breakfast bar. 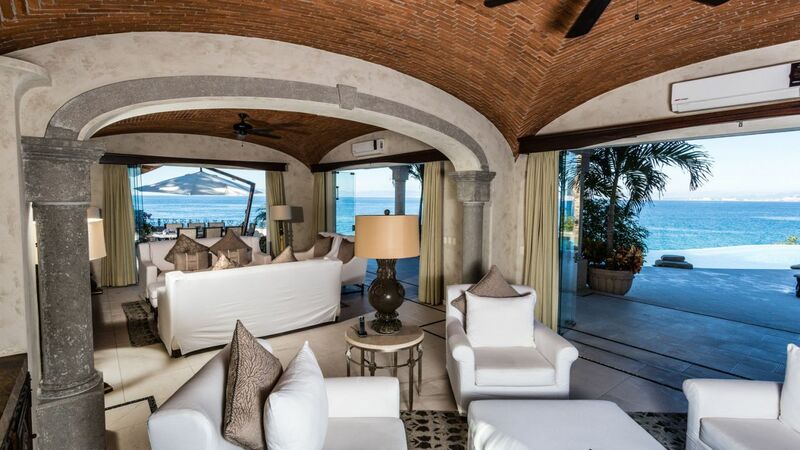 The indoor areas are seamlessly connected with the outdoor terraces making the home flow into an even more spacious environment. 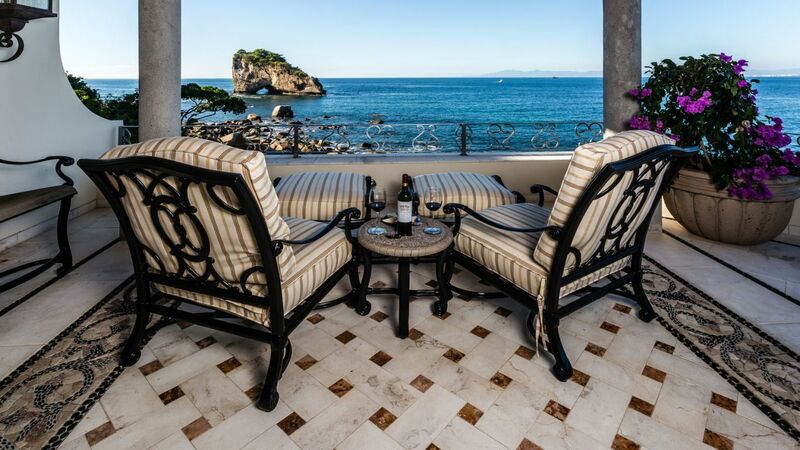 Wake up and walk outside to the main terrace taking in expansive views of Puerto Vallarta. 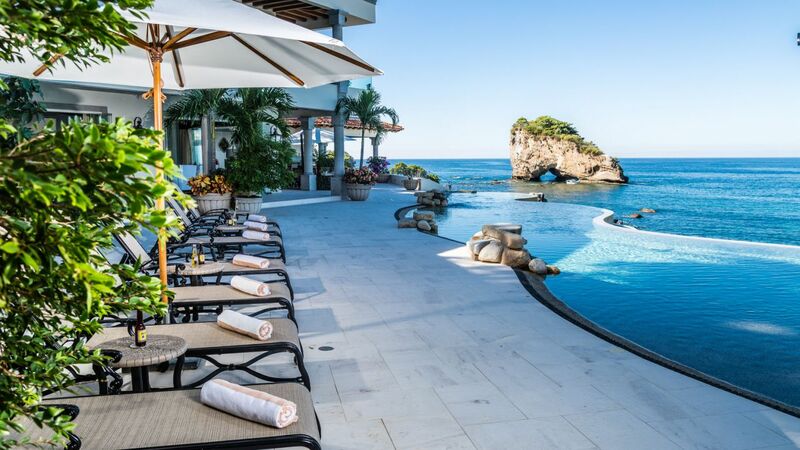 There is an incredible free-form infinity pool that is directly above the ocean and comes equipped with lounge chairs and a bar. 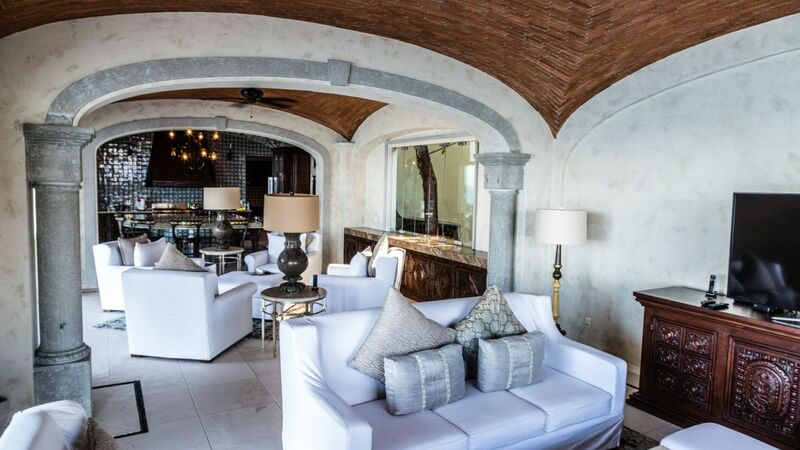 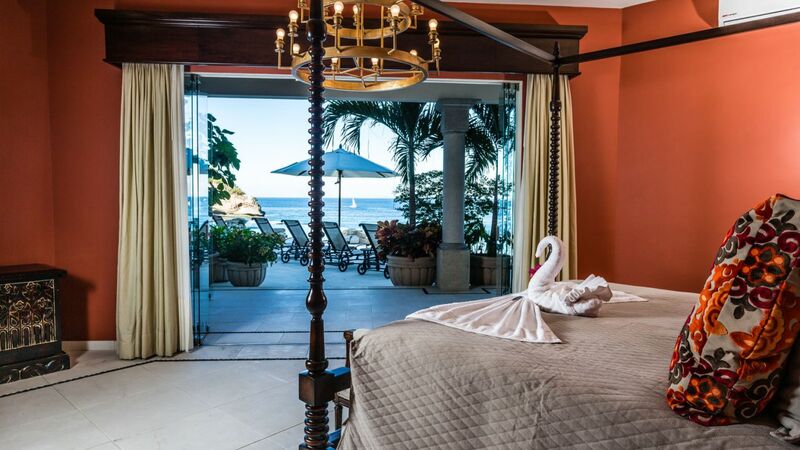 Staying at this residence, guests have access to a private beach club that includes a fabulous restaurant, bar, paddle-boards, kayaks and a gym.